If you don't know yourmuze.fm, this might be the time to get to know it. It's a free service that has a LOT of worldwide radio stations available as an online stream for usage with most of the smartphones. In order to start using it you need to register for free via your desktop computer, and add the stations you like. 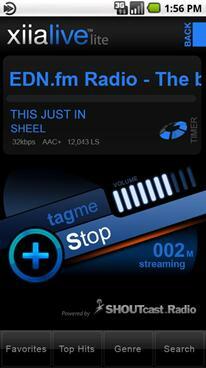 Later on, you can surf to the mobile version of the service by mobile web and listen to the stations you selected. So far so good… I like it. But how about multitasking? Continue reading "An Android solution for listening to online radio while multitasking"